How do you leapfrog Tesla? How do you avoid circling the drain with much of the car industry when peak car hits? A whole world of new technologies and new markets awaits. Who can reveal the implications, opportunities and vehicles arriving from nowhere such as vast numbers of robot solar weeders on farms? Enter the IDTechEx Business & Technology Insight Forum Electric Vehicles and Energy Storage in Novi Michigan 10-12 June. These are participative technical and marketing sessions and you choose the balance. Choose which half day sessions you need over three days. We forecast the markets and technologies with exceptional granularity. Our four PhD level Chinese speakers have prepared a session on China the biggest market. Here is a taster. Electric trucks are going to be a much bigger market than electric buses and China has four times as many trucks as the USA. However, its robot agricultural tractor, driverless maglev 120 mph electric train and pure electric river ships are deeply significant. What is the roadmap of increasing supercapacitor energy density to battery levels by pseudocapacitance and hybridisation? That Lamborghini with supercapacitor bodywork is a game changer but so is top up charging of vehicles in motion by solar bodywork, intermittent rail, catenaries and solar roads because you need little or no battery. The self-deicing, vehicle-charging solar road in China is important. The 400,000 school buses in the USA will go pure electric PEV when PEV is cheaper up-front. When will that be and how will it be achieved for everything from cars to trucks, regional aircraft and ships? Your competitor the $100 billion CRRC moved out from both supercapacitor and battery electric trains and trams to both supercapacitor and battery buses: it will not stop there. Geely is into flying cars, not just transforming Volvo and industrial EV makers. BYD makes pure electric forklifts, Class 8 battery trucks and, like Tesla, leverages synergistic microgrid expertise and dominates in its electric car category. What are the lessons? In the next 2 years, what different technologies are going into solar cars being commercially launched by little known companies in Germany, China, Netherlands? Why are there superb PEV and HEV opportunities from construction, agricultural, mining, bus, truck, 2 wheel and other types scoped in the Forum? Why are PM axial flux and switched reluctance motors gaining share but often as e-axles, e-wheels, the new "distributed thrust" in aircraft? When will the rush into 48V mild hybrid trucks and cars produce versions that have genuine EV modes? Why are there so many different technologies in their starter-motor-generators with those painful acronyms? What comes after lithium-ion batteries and what are proving to be the best reuse and recycling options worldwide? How will smart bodywork including smart glass transform robot shuttles? Why the interest in new wide bandgap semiconductors beyond GaN and SiC? What are the vehicle voltage trends and why? 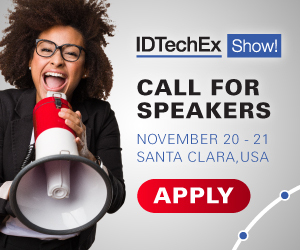 In short, IDTechEx attempts to surface many newly important trends, technologies and markets but three days is not enough for all of them. We seek to help you and our work is backed by the world's largest choice of new EV reports and a "Portal" relational database for you to mine. Come, participate and together we can jump through the cobwebs of traditional thinking. For more on this Business & Technology Insight Forum and to register with the latest attendee discount visit www.IDTechEx.com/novi.